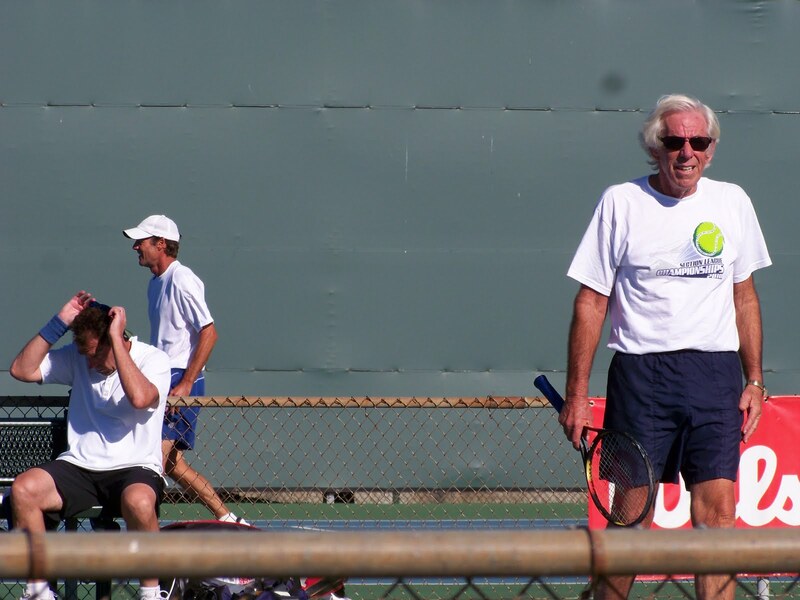 Seal Beach tennis championships. The boss (adjusting sunglasses to his head on the left) and his team came out on top. Next up: Nationals down Palm Springs way during Halloween. Dude with the white hair is an opponent he beat.